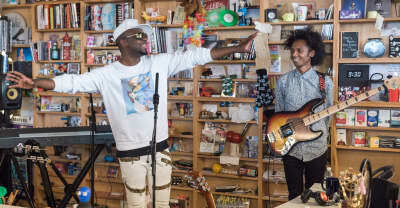 NPR's latest edition of the live concert series Tiny Desk Concert features Wyclef Jean. Watch the session here. 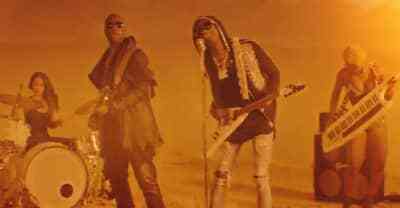 This is his first full-length album in eight years. 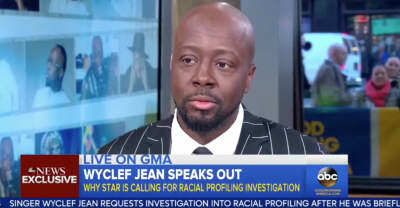 Wyclef Jean is calling for a formal investigation into LAPD racial profiling after being detained by police on Tuesday. 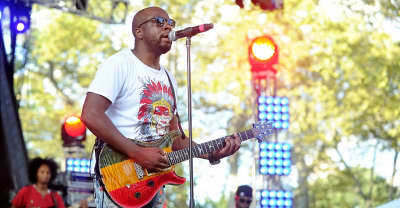 Wyclef was detained and released in Los Angeles after being mistaken for a robbery suspect. 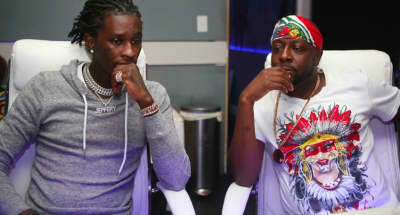 Wyclef Jean discusses his relationship with Young Thug and his upcoming J'ouvert EP. 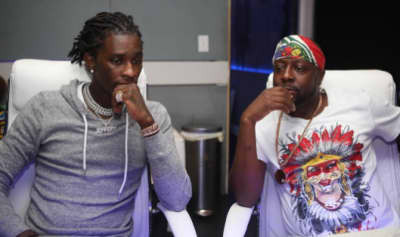 Listen to Young Thug and Wyclef Jean's new song "Elton." 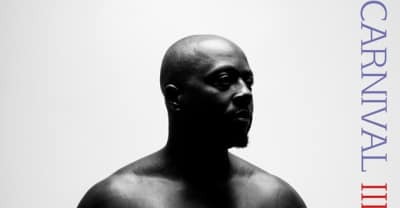 Listen to a new song off Wyclef Jean's upcoming album. 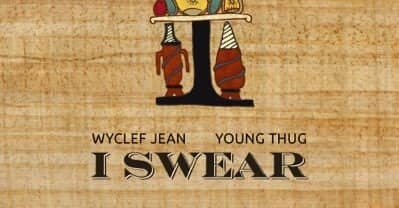 The Knocks Recruit Wyclef Jean For "Kiss The Sky." 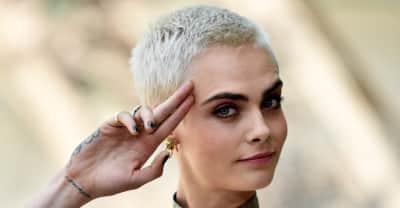 The nostalgic cover has been a part of his live show for a while now, but ahead of his Lollapalooza set this weekend he’s really upped the ante.